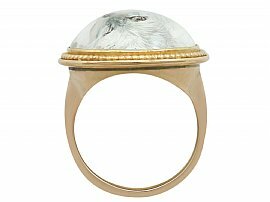 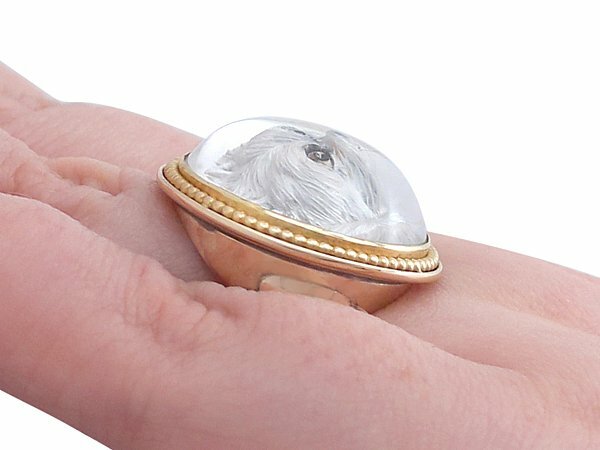 This fine and impressive antique Essex crystal ring has been crafted in 9 ct yellow gold. 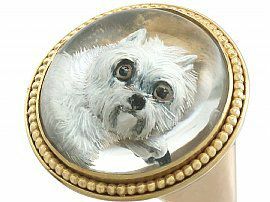 The ring is ornamented with a feature hand painted Essex crystal reverse intaglio, depicting a 'West Highland Terrier' dog. 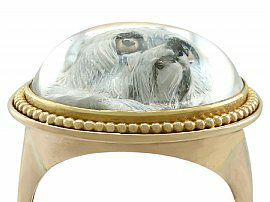 The circular frame is ornamented with an applied bead decorated border. 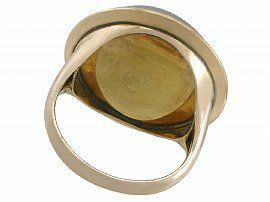 The subtly elevated, substantial flared ring shoulders integrate with the main setting and blend seamlessly with the plain ring shank. This antique Victorian dress ring has been independently tested using state of the art technology (Niton XL2 Analyzer) and verified as 9 ct gold. 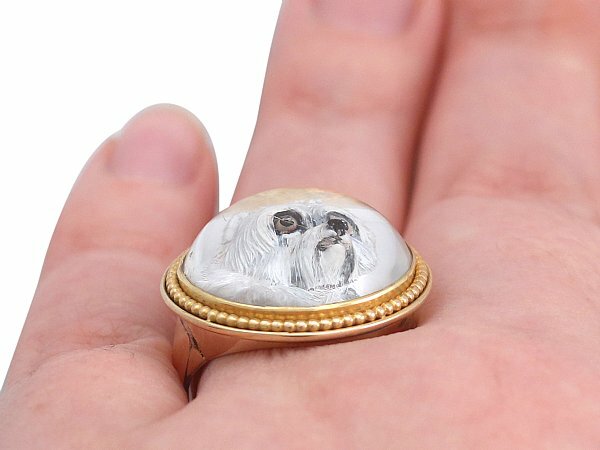 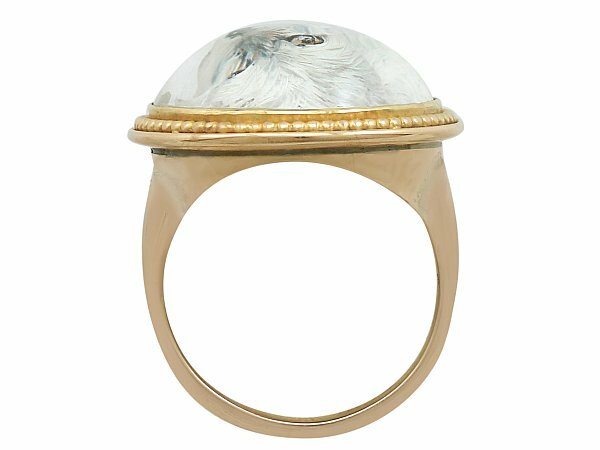 This impressive antique 1890's dress ring is fine quality set with an impressive hand painted Essex crystal reverse intaglio. 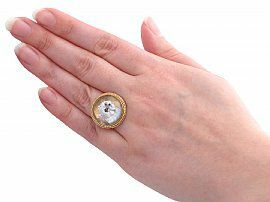 The ring is a very good gauge of gold and is in excellent condition with an applied bead decoration.